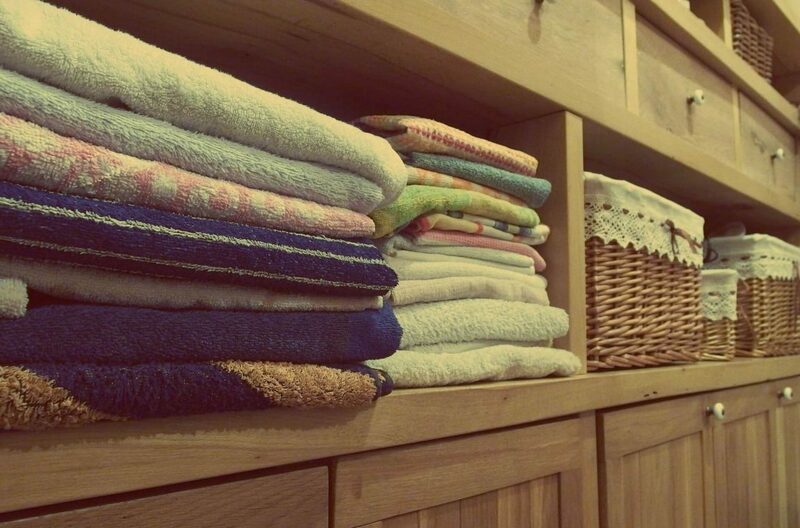 When it comes to laundries, you can never have too much space. Often one of the smallest rooms in the house, the laundry has to be functional, yet so often these rooms are poorly designed and fitted out. If you’re thinking of trying to get more out of your laundry, or even laundry renovations, here are 8 awesome space saving tips for your laundry from our plumber in Perth. Once of the easiest ways to save space is to combine two appliances into one. If you have a washing machine as well as a separate dryer, you could opt for a single washer/dryer instead. Trimming down two big and bulky machines into just one will save you heaps of space. Ironing boards can be bulky and annoying to store. Why not hide it away and install a fold out ironing board? It’ll no longer be an eyesore in your laundry and you’ve got a ready-made ironing station ready to go (when you can be bothered to tackle your ironing pile!). If you’ve got a sink in your laundry, you can quickly turn it into more benchtop space by adding a sink insert. You can either buy one to fit your sink, or if you’re doing laundry renovations, use any cut-offs from your benchtop and get your benchtop installer to custom make an insert for your sink. This would make your benchtop seamless when the sink insert is in use, creating more surface space plus it’s aesthetically pleasing too. When you have a top loader, there’s no chance of using the space on top of your washing machine. It’s dead space. Switching to a front loader means you can add a benchtop over your washing machine, creating more space that can be used. Create or buy some sturdy drawers and place them under your dryer. This creates super handy storage where you can keep all your laundry detergents, cleaning equipment, pegs and whatever else you have stored away in your laundry. It also lifts your machines higher, which means you don’t have to bend down as far when loading and unloading your front loaders. Depending on the design of your home and the location of the laundry, if you really want to create extra space in your laundry, installing a sliding door can do just that. Often space behind the door is not able to be used at all so a sliding door will leave you more space to arrange your bulky items and install storage options that just aren’t possible when you have a standard size door. Are you sick of having coat hangers spilling all over the place? Add a rail under your wall cupboards and hang your hangars straight up. Next time you need to hang your freshly washed clothes up to dry, just grab a hanger and you’re good to go. Do you really use your laundry sink? Do you use it often enough to justify how much space it takes up in your laundry? If not, consider ditching it altogether and creating more useful benchtop space or storage units. If you really want a sink, a small one will usually do just fine, so replace big bulky sinks and units with a small sink with storage drawers underneath. Love the sound of all these space-saving tips for your laundry but can’t see how you’re going to be able to implement them in your current laundry? Contact us for a free quote for complete laundry renovations for your Perth home.